A new test will be added to the fetal anomaly screening pathway following an announcement by the Department of Health. Earlier this year the UK National Screening Committee (UK NSC) examined the case for offering the non-invasive cell-free DNA test for Down’s, Edwards’ and Patau’s syndromes. The committee concluded that the evidence showed that the introduction of this test could reduce the number of women undergoing invasive diagnostic testing, which carries a risk of miscarriage. The number of invasive tests would fall from an estimated 7,900 to 1,400 each year and the number of miscarriages related to invasive tests would fall from around 46 to 3. The committee recommended offering NIPT as an additional test to the current combined test. The combined test consists of a blood test and ultrasound scan and we offer it as part of the NHS Fetal Anomaly Screening Programme. The work done by the UK NSC also suggested that the reduced number of invasive tests would release enough money to cover the extra needed for the new test. So it would be cost neutral. The new test will be offered to pregnant women whose chance of having a baby with Down’s, Edwards’ or Patau’s syndrome is greater than 1 in 150. Currently those women whose results on the combined test show a greater than 1 in 150 chance are offered an invasive test, which involves taking either a sample of amniotic fluid (amniocentesis) or placental tissue (chorionic villus sampling) from the womb. These invasive tests carry a small risk of miscarriage. It will now be possible to offer women NIPT as an alternative to these invasive tests. NIPT finds DNA from the placenta in the mother’s bloodstream and examines this in the laboratory to assess the chance of the baby having Down’s, Edwards’ or Patau’s syndrome. NIPT is much more accurate than the combined test. It will enable many more women to be given the news that their baby is highly unlikely to have Down’s, Edwards’ or Patau’s syndrome and enable them to avoid risky invasive testing. The UK NSC commissioned new work to look at research from around the world on the effectiveness, accuracy and costs of NIPT. It also considered ethical issues. Recognising that the use of such tests is relatively new, the UK NSC recommended NIPT should be offered as an additional test – to provide choice for pregnant women – with ongoing evaluation. This evaluative rollout will give us a better understanding of the impact it will have on the decisions women and their partners make following positive test results. We are developing the full details of the rollout, including the hospitals that will be involved initially and the results and information to be collected during the evaluation process and beyond. Deciding what to do after receiving a positive screening test result can be difficult. It is very important that we provide pregnant women and their families with non-directive support and accurate up-to-date information. This will help them make informed choices about their pregnancies. We will ensure they are fully supported in the decisions they make. We are working with patient groups, scientists and clinicians to develop balanced information resources for the public and health professionals. 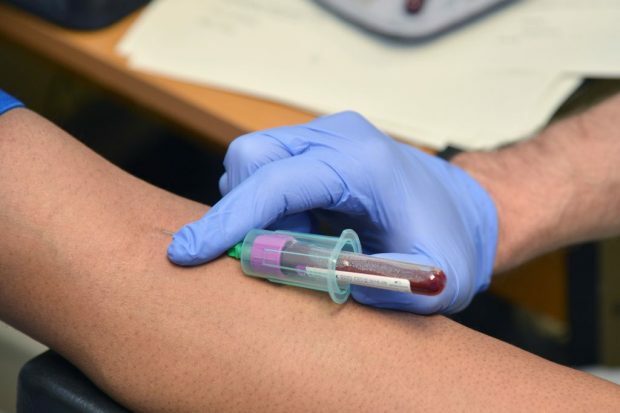 We have not confirmed an exact date for the introduction of NIPT but expect to offer the first testing in the NHS in the 2018 to 2019 screening year. We will produce updates through the PHE screening blog. WeLDNurses published a report based on a twitter chat on 25th May 2016 - see http://wecommunities.org/downloads/WeLDNursesNIPTConsultation.pdf which seeks to explore ways in which the testing pathways might benefit from having involvement from the Learning Disability Nursing profession. We'd be interested to hear from PHE as to the recommendations this report contains. Thank you for your comment Daniel. We will read your report with interest.